The Supreme Court on Monday debarred two PIL petitioners from filing any public interest litigations in any constitutional courts in India. 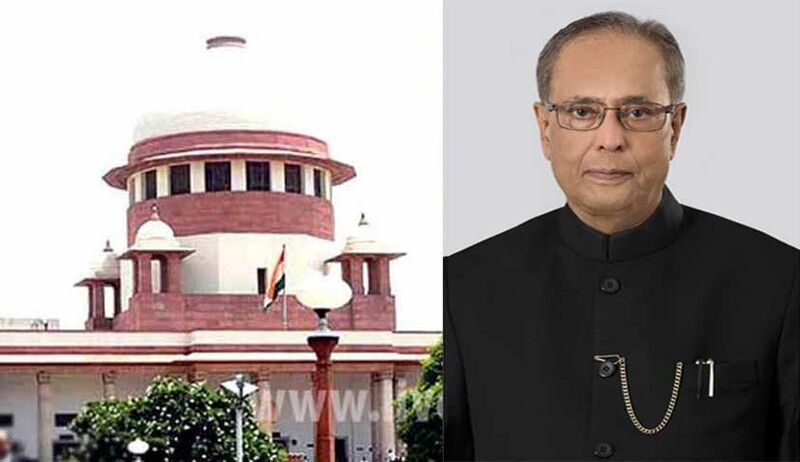 A bench comprising Justices Dipak Misra and R Banumati dismissed the PIL in which President Pranab Mukherjee was arraigned as first respondent. “The Constitution Bench of this Court in Rameshwar Prasad & Ors. vs. Union of India & Ors. [(2006) 2 SCC 1] has clearly held that the President of India cannot be arrayed as a party to the litigation. Despite the said pronouncement, the petitioners being emboldened by some kind of imaginative faculty have described the President as Respondent No.1,” it said. The bench observed that in future, the petitioners shall be debarred from filing any kind of public interest litigation in any constitutional court and none of their petition under Article 226 or Article 32 of the Constitution shall be entertained, unless they are personally grieved. The bench warned that if the petitioners deviate from this direction, they shall be liable for contempt of court. No one appeared for the petitioners in the matter on Monday. “We are obliged to state that the petitioners, having filed this petition, have not remained present in Court but we have perused the petition in detail. The petition, to say the least, is vexatious and, in fact, is an expression of pervert proclivity,” the bench said. The court noted that the petitioners, who are litigants, had approached the court in certain special leave petitions and could not meet with success. “Their individual grievances do not confer any right on them to file a writ petition of the present nature. It is an assault on the Constitution, more so, when the high constitutional authorities are involved. They have, with incurable audacity, made allegations against the respondent Nos.2 and 3 which are absolutely unacceptable and, in fact, can never be conceived of. No litigant can be permitted to browbeat or malign the system. This is essential for maintaining the integrity of the institution and the public confidence in the delivery of justice. It is sheer malice. The question of issuance of any kind of writ does not arise. On the contrary, we are disposed to think that the grievance that has been agitated is absolutely unjusticiable,” said the court in the order.